These four silver candelabra were crafted c.1900 in the Neoclassical style by André Aucoc, the silversmith who owned the famous Maison Aucoc in Paris. 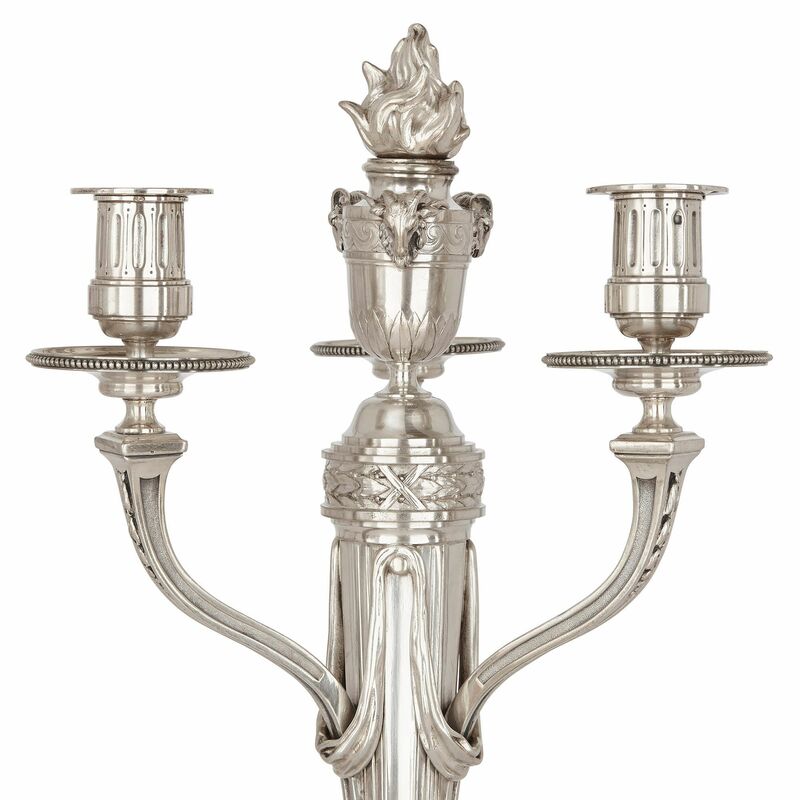 Each three-light candelabrum is formed with a circular base, which is fluted and encircled by a laurel wreath. 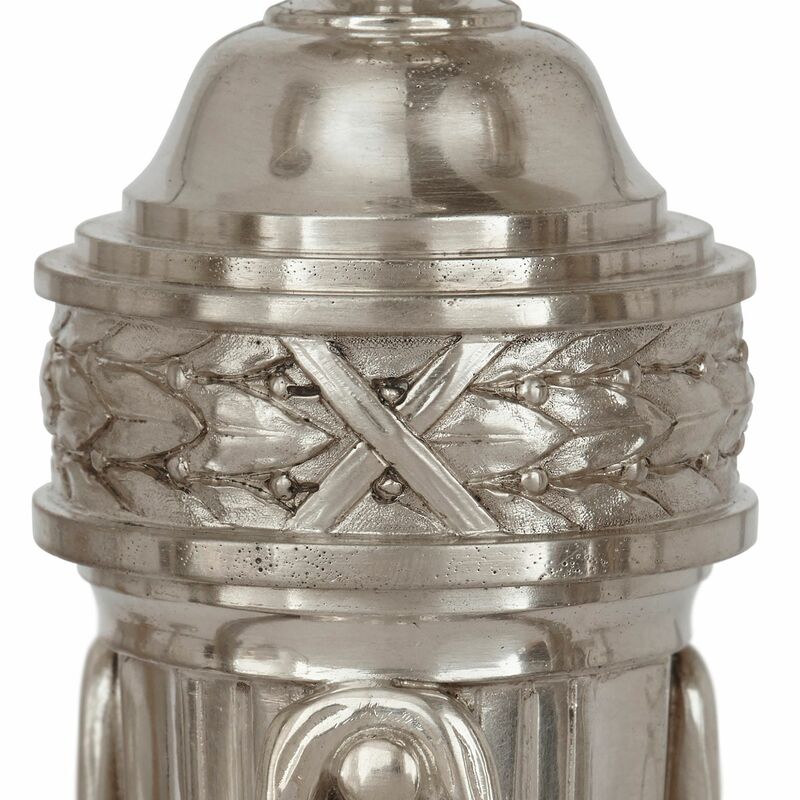 Above each base, there is a knop, which is ornamented with a wavy pattern. The lower part of the stems are engraved and fluted, and their tops have been modelled to imitate swags of drapery. Each candelabrum has three arms, and these spring from the centre of these looping fabric forms. 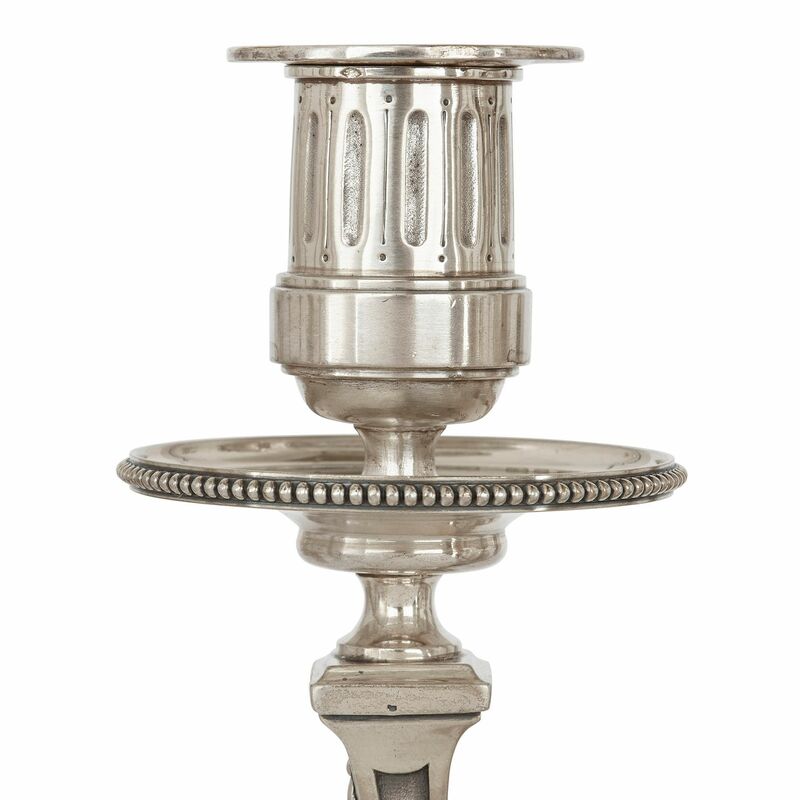 The candelabra arms curve upwards to support wide drip-pans, which are encircled with beading. 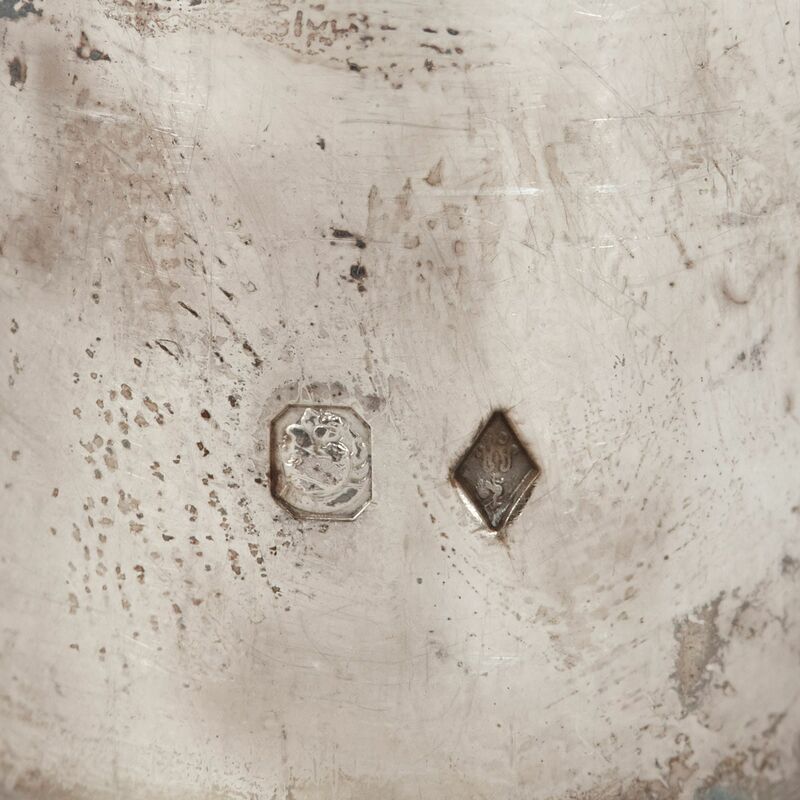 These pans are topped by fluted capitals and simple silver sconces. 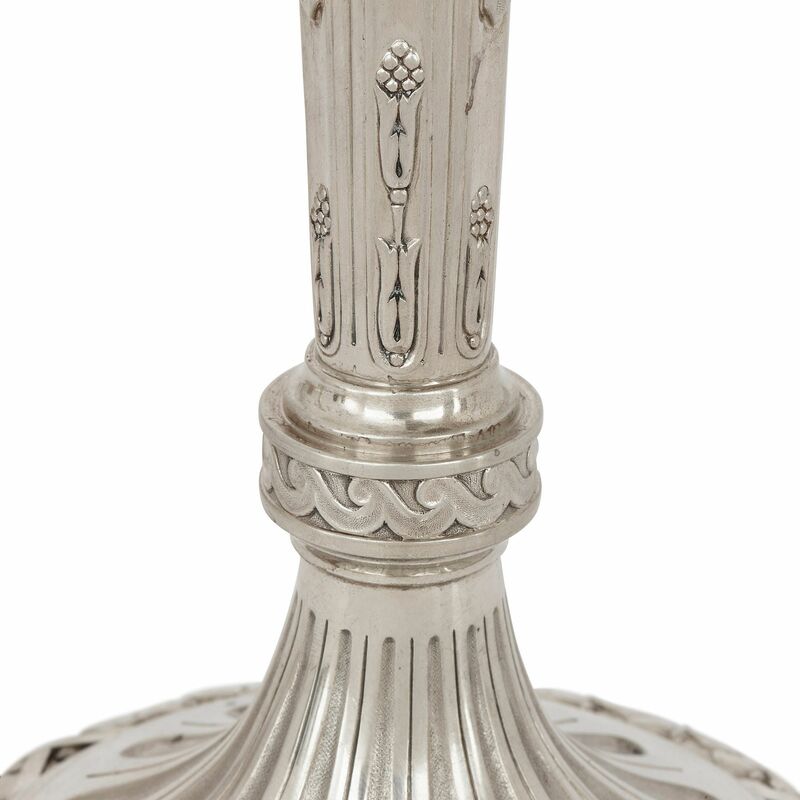 Crowning the stem of each piece is a laurel leaf band, which is topped by a flaming classical urn. 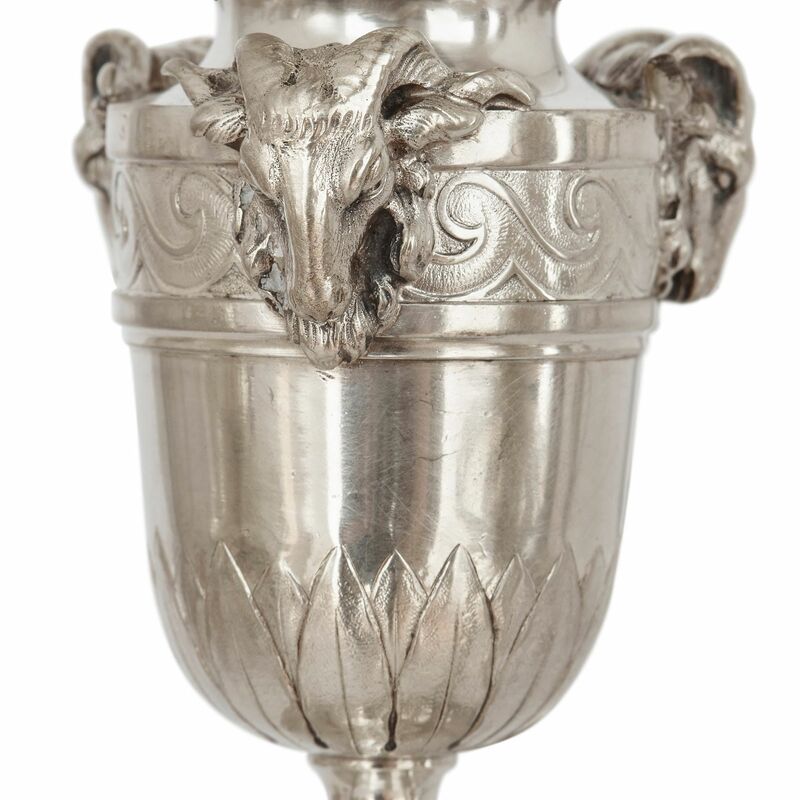 The urn has a leafy base and wavy frieze, which is decorated with rams' heads, framed by flower garlands. André Aucoc was a highly-skilled and inventive French silversmith who was active in Paris in the late 19th and early 20th Century. During this time, André was the head of the family business, La Maison Aucoc, which was founded by Casimir Aucoc in 1821. André had inherited the company from his older brother, Louis, at the turn of the century. 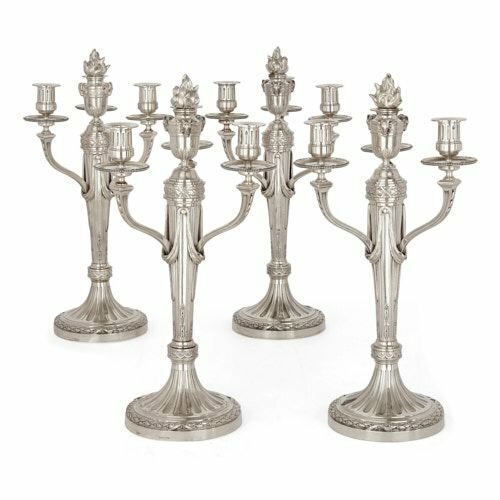 The base of each candelabra is signed 'A. 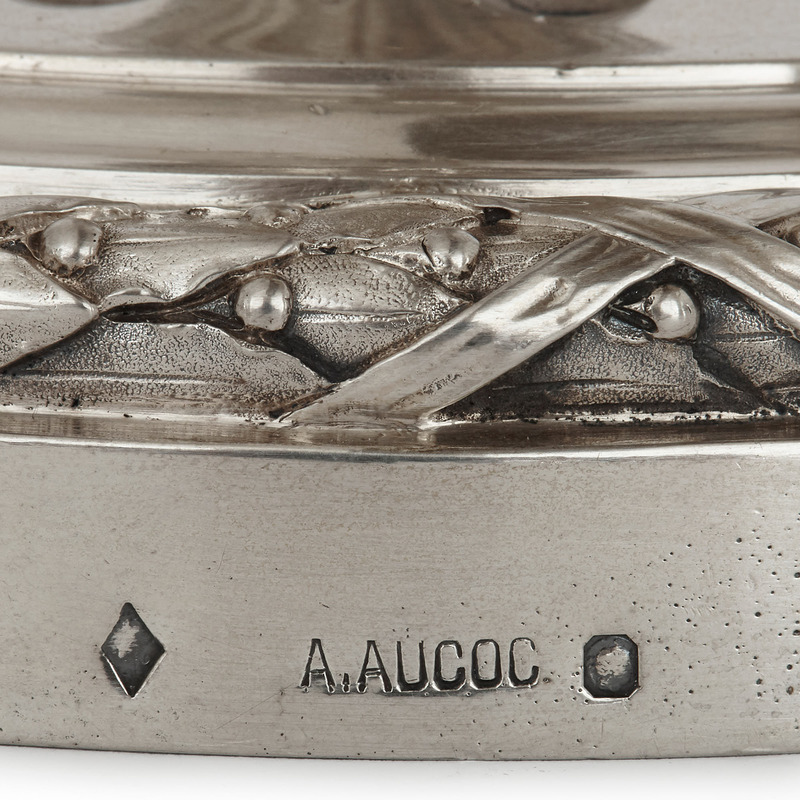 Aucoc' and stamped with the standard silver marks.